“I scream. You scream. We all scream for ice cream!” … and AAS Winners! 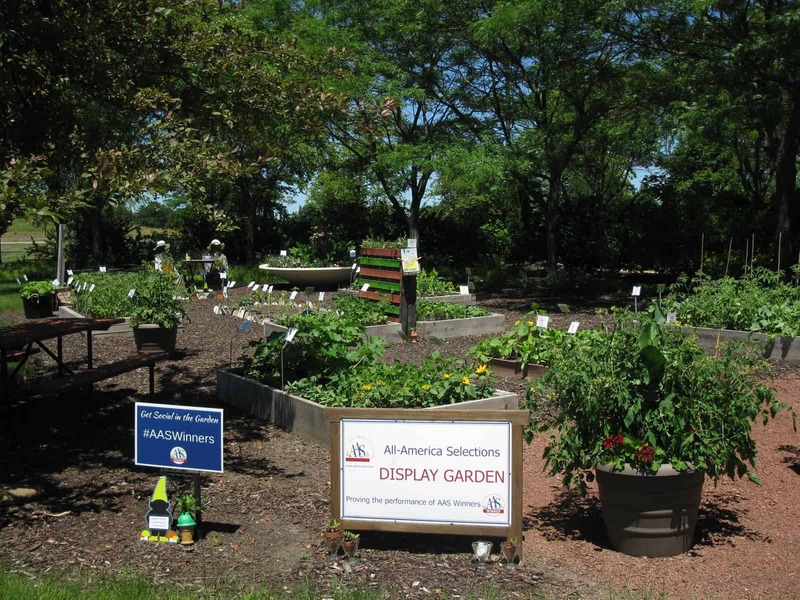 With a slight twist to the theme, visitors to the Kenosha County Center were treated to an AAS Display garden tastefully decorated as an old-fashioned ice cream social. By combining an old-fashioned “social” event with the modern interpretation of “social”, Kenosha provided a fun and refreshing break from our fast-paced world. Colorful plastic shaped waffle cones and ice cream cone sip cups served as planting containers as did an ice cream bucket and base of an ice cream maker resembling a cake cone. The repurposed satellite dish became a super-sized Delizz strawberry sundae. 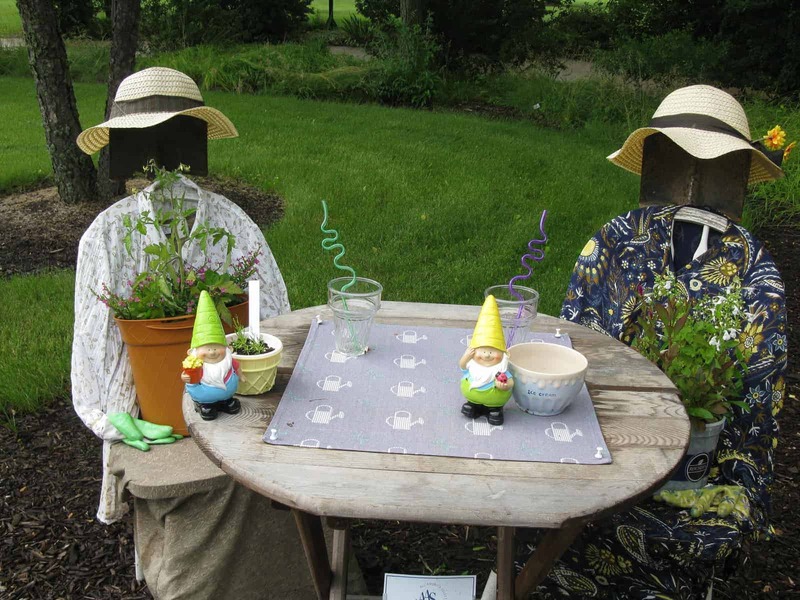 With inverted cone hats, gnome-shaped signs were sprinkled throughout the garden’s raised beds to share the scoop on the history of ice cream gardens and the many different “flavors” of AAS Winners. 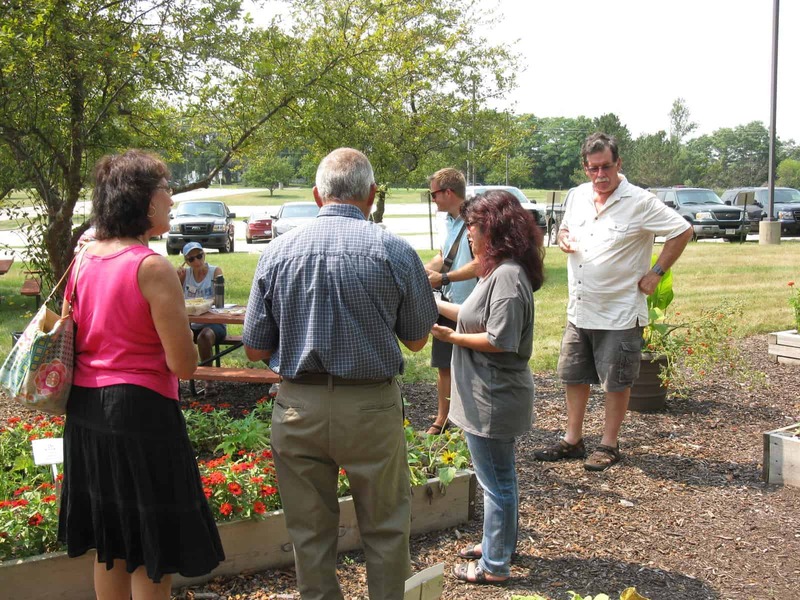 Judges felt that the plantings of AAS Winners were dense, colorful and in good health plus the garden location was quite prominent and well used.